As predictable as the rising and setting of the sun, the Republican machine is bent on betraying its base. They will force Amnesty on us in a brutish move that aligns itself with Obama and the other Progressive Marxists. Obama has declared that he will conduct weaponized legislative warfare in the coming year and by the use of pen and phone, he will have his way with illegal immigration and raising the minimum wage. It is a dictatorial move that is breathtaking and basically circumvents and destroys the Constitution — all the while, Progressive Republicans will be assisting and aiding him behind the scenes and out in the open for the world to see, just as they did with Obamacare. This is not to help the downtrodden. This is for the votes and the labor, pure and simple. “John Boehner is planning to unveil a set of Republican principles for immigration reform before President Obama’s State of the Union address, aiming to show the GOP is not hostile to legislation that might win them Hispanic voters. According to House leadership and immigration-policy aides, the principles will be broad, nebulous even, and heavily focused on Republicans’ favorite immigration issue—border security. It will not include any concrete proposal, they said. Indeed, the wording is likely to be intentionally squishy, giving lawmakers lots of room to maneuver. Seriously, the Republican party needs a good old-fashioned political enema. The TEA Party needs to ascend and real conservatives need to take over and kick all the Progressives out. Stop screwing around and get it done. You can start by getting rid of John Boehner, Mitch McConnell and John Cornyn. All are pushing this monstrosity. If Obama and Boehner pull off this swindle, they will legalize 6.5 million illegal immigrants over night and that is just the start. The Republicans will wait to be strengthened after midterm victories and then will go whole hog on Amnesty. They will push this as Obama becomes a true lame duck, believing it will get them enough votes to win in 2016. It won’t and they are delusional. Instead, it will all but guarantee a permanent Democrat/Marxist majority. Is it any wonder the Brits are calling Obama incompetent and insane? Sir Hew Strachan, an expert on the history of war, says that the president’s strategic failures in Afghanistan and Syria have crippled America’s position in the world and he is so right. America appears lost and rudderless, and now with the open borders insanity, she appears suicidal. Obama is not alone in this treasonous action. Big business CEOs are lining up, begging for Amnesty to fill their slave-like positions. Creating an underclass and pushing most of the middle class of America into a third world hellhole. All for money and power. These boot licking, sycophants are throwing money at Obama and clamoring for this in a new world where self-interest and greed rules, and freedom and choice are dying. This is nothing new… simply read up on how big business cuddled with Adolph Hitler and you’ll get an idea of what we are experiencing. These business titans use grandiose terminology such as “common sense” and “forward thinking.” It’s anything but what they say – it is slavery and it is evil. 208 CEO’s of the Business Roundtable vigorously applauded the efforts of Paul Ryan to pass Amnesty. The national Chamber of Commerce is pushing Amnesty hard. What do you think this means for the long, long, long term unemployed in this country? What does it mean for the young? Hell, what does it predict for all of our jobs out there? Think. It will destroy our working class and double down on an already lengthy depression. Poverty will be the new norm and those wealthy elite in power who are Marxists will never leave, not without bloodshed. Corrupt business and corrupt government always ends badly. Always. 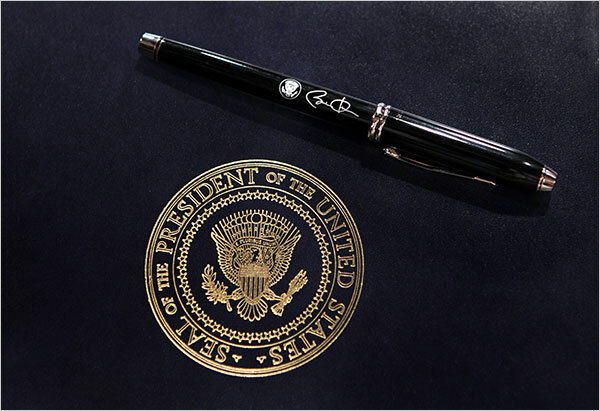 As Obama tells America that he is willing to use his pen and phone to bypass Congress with Executive action in 2014, a nation cringes at what is about to hit them. With Obamacare already devastating us financially, Amnesty will be the final blow. The Marxists can’t wait — they have waited so long and the conquering of America is finally at hand. Will we roll over and wet ourselves, or will we fight for the elections in 2014 and 2016? We must elect true conservatives and stop the Amnesty beast from lumbering into America’s Babylon. Stop bolstering the Marxist vote — start empowering the patriot movement. What has Senator John McCain been doing lately?? He has been meeting secretly with George Soros in Switzerland and here is proof. Kind of explains why the Senator doesn’t like the Tea Party and what it stands for.